In Upper Austria, visitors can enjoy a great variety of landscapes worth visiting: impressive mountains, beautiful lakes, relaxing forests and historic cities. Since there is too much to say about the many beautiful aspects of Upper Austria, we prefer letting the sceneries speak for themselves. Let yourself get carried away by the video on the right. More information about Upper Austria can be found here. The beautiful city of Linz charms its visitors with its baroque stucco facades and at the same time surprises them with modern architectural styles with futuristic lighting. Over the past decades, Linz has evolved into a pulsating cultural metropolis and was chosen as the European Capital of Culture in 2009. Today, Linz is a modern city offering a high quality of life to its citizens and has a lot in store for its visitors. More Information about Linz can be found here. 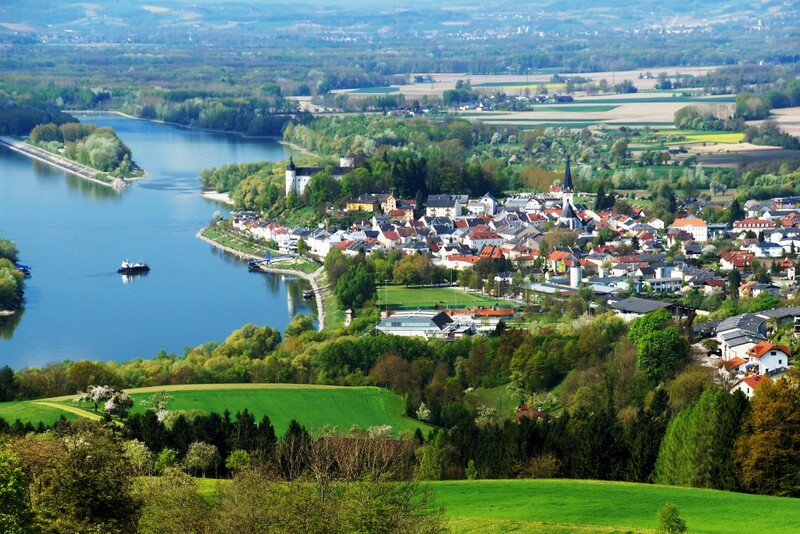 Ottensheim is an idyllic municipality right at the Danube and offers many opportunities to immerse oneself into the Upper Austrian nature. The heart of the municipality is its beautiful market place, where the main social life takes place. More Information about Ottensheim can be found here (available only in German).